If you are interested to make your exchange program more challenging with lot of learning, Portugal is the right country to visit. Vishvet Foundation is inviting application from enthusiastic people who really wants to accept challenge while facing language and cultural difference at Portugal. 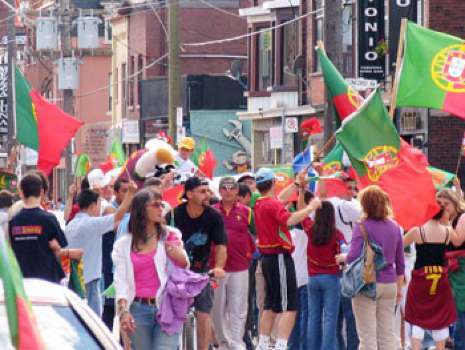 The Portuguese participate in many cultural activities, indulging their appreciation of art, music, drama, and dance. Portugal has a rich traditional folklore (Ranchos Folclóricos), with great regional variety. Many cities and towns have a museum and a collection of ancient monuments and buildings. Many towns have at least a cinema, some venues to listen to music and locations to see arts and crafts. In the larger cities visits to the theatre, concerts or galleries of modern exhibitions are popular, and Portugal can boast not only international-scale venues in Lisbon, Porto, Braga,Guimarães and Coimbra but also many acclaimed artists from various disciplines.